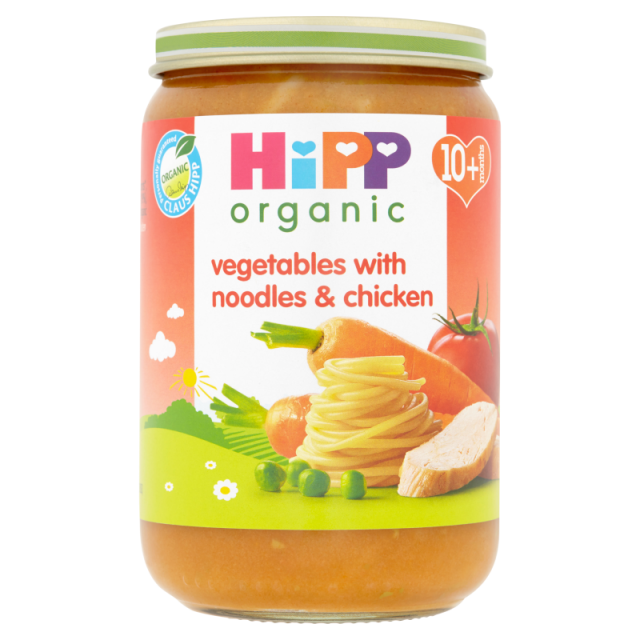 HiPP Organic products should be enjoyed as part of a varied and balanced weaning diet, together with baby's usual milk. The original organic baby food co. This product contains no artificial colours, but the natural ingredients may cause staining of clothes and occasionally an orange tinge to the skin.